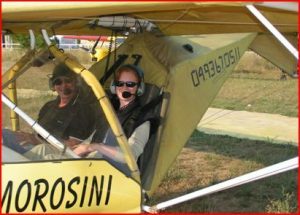 Last year I took to the skies over Provence – a private “lesson” flying an ultralight! While I didn’t actually take the “rudder”, the half-hour ride offered an exhilarating birds-eye view of the Var region of Provence, from Fayence to the Cote! This treat is easily accessible to anybody cruising the Riviera. The Fayence-Tourrettes gliding field, which has an international reputation and is open 365 days a year, is about a 30 minute car ride from Cannes. Fayence is well known by gliding afficionados for its high altitude flights “in the wave”, and as a starting point for long distance gliding flights from the “Alpes du sud” and even to the French and Swiss Alps. You can arrange an initiation gliding lesson or a half-hour trip in a glider or ultralight by calling 0494 76 00 68. 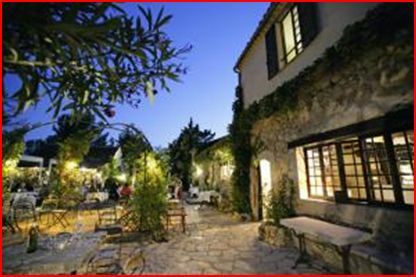 After your flight, dine at the nearby Moulin de la Camandoule, an ancient olive oil mill transformed into a stylish hotel and restaurant. 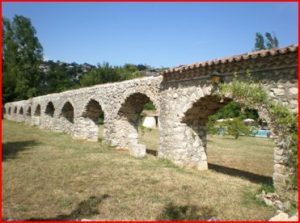 The mill has existed since the 15th century and the aqueduct, which brings the water of the Camandoule to the mill, dates from the roman era. You can still see the large wheel of the mill at the entrance to the restaurant. Call for reservations (04 94 76 00 84) as its reputation for gourmets, along with its bucolic ambiance, makes it a popular place to dine. You’ll enjoy your dinner, prepared by chef Philipe Choisy, who has officiated there for eight years, on a terrace surrounded by the scent of provencal flowers and waving poplars growing along the nearby Camandoule river.